He changed the face of electronic music with this record. When he made it almost nobody in the scene knew what he looked like or who he was, there were only a couple of people such as myself, Kode9 and another journalist called Martin Clarke and maybe a few others but not many. This meant that he was able to move around, even in places like DMZ, entirely freely in that crowd without anybody knowing who he was at all. I think there's something about his invisibility and the absence of him and yet paradoxically the fact that he's so present within that sound. That paradox is really extraordinary. I think he's one of the very few artists who is operating at any level in the world, who genuinely covets that degree of invisibility. I stay in touch with him sporadically and everyone always asks me what he's like and this is all entirely honest and genuine [what he does], he is incredibly shy and very withdrawn, he's only ever really interested in the music he's making, he's not interested in performing, in PR, in a status of any kind, he's just entirely immersed in his own world and lives inside the music. That's the place he feels safe and it's where he wants to be. I very first heard his music when I was doing a show called Dubstep Warz and Kode9 played a Burial track on it as the last tune in his set, I remember saying to Steve, "oh my god, what was that last song you played?" and he said, "oh this is this kid I found called Burial". Subsequently we previewed the album on the show. I say I knew him but even then he was very, very reclusive, he would only materialise physically on occasion, he genuinely is one of the shyest people I have ever known. However, I feel like in a world where everything is so exposed, you have to give up so much of yourself as a human being to sell anything - because that's what's expected of you as an artist - it often means that you can sell the music if you sell yourself. 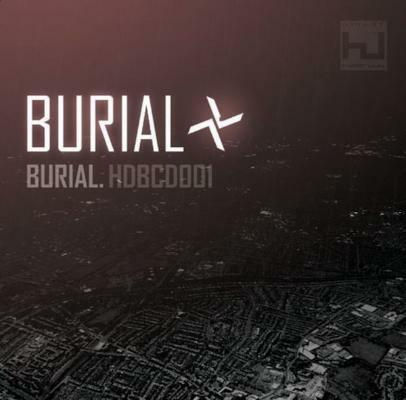 Burial demonstrates that there is another way to do it, should you so desire and are brave enough and exceptional enough as an artist. He creates a sense of being absolutely present and yet utterly invisible. He captures a mood with this record, we've all been there: it's maybe five or six in the morning and you have the echo of the club still ringing in your ears and you're on the top of a night bus or walking through the streets of Soho and the only thing you'll see is maybe the bin men coming out to sweep away the debris from the night before. He captures that so beautifully and perfectly, that transition point between a state of real euphoria and to where you're travelling to, to hopefully reach a state of peace. When Burial releases a record the world stops for me.